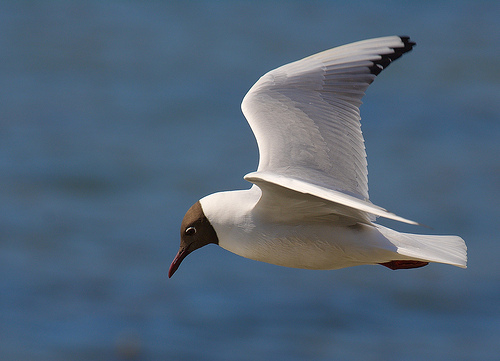 Although gulls usually are associated with beaches and the sea, the Black-headed Gull is found inland. The bird has adapted itself to human environment and is an omnivore. 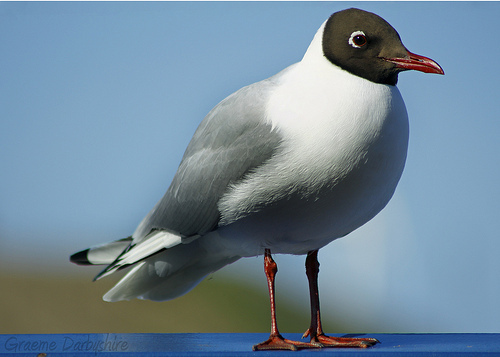 In summertime the Black-headed Gull has a dark beak, the beak of the Mediterranean Gull is bright red.